As I prepare to teach abroad in Spain for a year (at least), I’ve been reading numerous blogs, forums, and Facebook group threads about teaching abroad. In college I studied abroad in Granada, Spain for six months, and I can almost guarantee that without that experience I would not be getting ready to teach in Spain. Writing about my study abroad experience got me thinking about advice I’d give to others studying abroad. There’s so much information and advice out there for people teaching or living abroad that I thought I’d provide my advice to those considering studying abroad since that’s where I first got my wanderlust. I decided to put this one right up front instead of having it as the last one so people didn’t think I got lazy and added this. During my four years as a undergrad, studying abroad was easily the best decision I made, and from everything I’ve heard from other study abroad-ers was the best decision they’ve made. I can’t honestly say I’ve ever met someone who has regretted studying abroad. I was in countless organizations at my college and the choice to study abroad was still the best decision I made, so if you are even slightly considering doing it, DO IT! 9. You won’t miss as much back home as you think. When I was deciding to study abroad and actually leaving for studying abroad, I had sudden worries that I was going to miss out on so many things with all my friends since I’d be gone and they’d still be all together. It wasn’t going to stop me from going, but it was still a legitimate worry of mine. However, once I returned I realized that I didn’t really miss all that much. Sure, I missed a few events and parties, but in the grand scheme of everything that I had just experienced the past 6 months abroad, it was hardly anything. In fact, I felt like they missed out. 8. When you come back you’ll be the one who changed, others won’t. This kind of piggybacks off of number 9. Everyone who has remained at school and not studied abroad will be essentially the same. They won’t have just had the grand, life changing cultural experiences you have. You will come back changed, for the better. I can guarantee that. Your friends may be out of old relationships or in new ones, but will be, for the most part, doing the same things they’ve done every semester of college so far. One thing about me that changed was the I became much more confident in myself because I knew that I could survive abroad, make new friends, and truly embrace and assimilate into another culture. 7. Stay with a host family if you can. If your program offers you the option of staying with a host family, do it! You will learn so much more about the culture, and if you’re in a country that speaks another language, you will learn that language so much more. 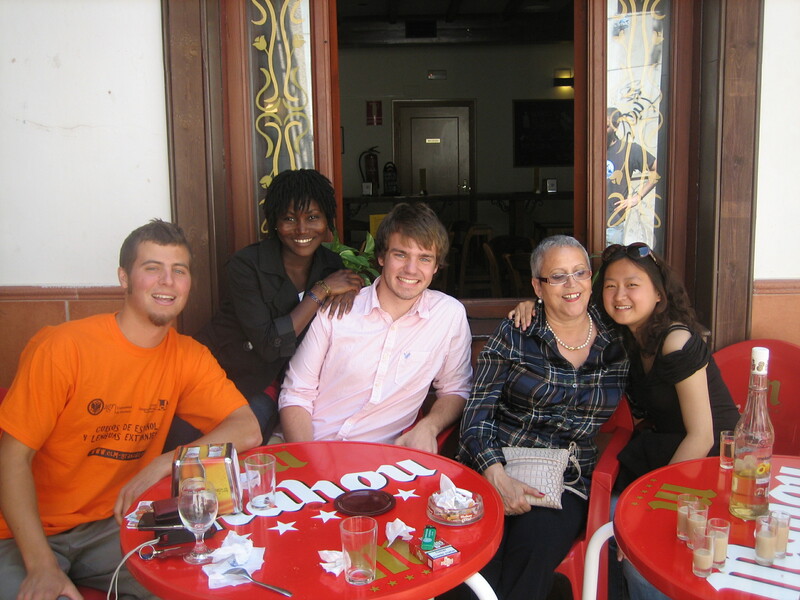 When I studied abroad we had the option of a host family or an apartment with other study abroad students in our program. While there are pros and cons to both living situations, I found that those who chose to live with a host family learned more about the local culture and definitely more about the local food! 6. Speak the language of your host country. I will be the first to admit that I regret not speaking Spanish as much as I could when I was in Granada. It’s very easy to fall into the trap of just hanging out with the others from your study abroad group and not speak the language of the country you are in and probably trying to learn. If you are able to make friends with the locals, that’s great and go for it! However, not everyone is always that lucky. I didn’t speak Spanish as often as I should have, and opted for English while hanging out with my fellow study abroad participants. As I said before, that is my only regret from studying abroad because once I got back to the U.S. it’s far more difficult to speak another language as you are not fully immersed in it anymore. 5. Try everything at least once. I guess for me this is just a piece of advice for life in general, but fits in for those studying abroad too. Don’t be afraid to try everything, at least once. If you never try it, you might not like it. I know these sound like such cliches, but they’re true. I cannot tell you how many times in my life that I’ve tried something new, thinking I’d not like it, and ended up loving it! (or at least not minding it). This rings true for new foods, trips, adventures, and meeting new people. You will only be studying abroad in this city, right now, one time, so why not make the absolute most of it. 4. Get to know the city and region you’re staying in. I’ve known countless people who go study abroad in a city and use it as a launching pad to jet set off to exotic locales every weekend. Part of studying abroad is traveling, and I understand that. However, my philosophy has always been to get to know the city you are living in. Living in a place and visiting a place are two entirely different things. If you leave every single weekend are you truly living in and getting to know a city? I always found myself excited to return to Granada after a weekend trip. In the end, it’ your choice, but from my experience, I thoroughly enjoyed spending a handful of weekends out of my semester abroad staying in Granada and a few more exploring the nearby region to get an even better feel for the culture. 3. Don’t spend all your time on the internet keeping up with friends from back home. Nowadays, with Skype, Facebook, Twitter, etc. it’s very easy to stay in close touch with friends and family back home, but it’s also incredibly easy to fall into the trap of spending a large chunk of your time on the internet doing that communicating instead of experiencing everything that living abroad has to offer. Immerse yourself in the culture of where you are, not a computer screen. During my stint studying abroad, I ran into way to many American students who would constantly talk about how much they “hated America’.” Yes, there will be things you like much more about your host country than America, but seriously, no one wants to hear you constantly talk about how bad America is. Whether you believe it or not, it’s just plain annoying. Don’t forget to be yourself too. Don’t lose sight of your interests while trying so desperately to fit in. You are you. The people you meet, whoever they may be, will want to meet you, the real you. Tell people about your passion, dreams, desires, and fears. Don’t cover these up because you want to seem cool and fit in. These are you. People want to meet you. Plus, you never know if people you are meeting will be a lifelong friend, lover, or perhaps just a mere acquaintance who changes your life forever. 1. Be thankful for your experience. Lastly, enjoy your experience studying abroad and be grateful for it. Not everyone gets this chance, or takes this chance. Be happy you are there and getting to experience all these wonderful, new, exciting things. You are seeing the world. You are becoming a global citizen. I’m sure there will be darker times of homesickness and sadness, which everyone goes through, but remember that in the end you will grow so much and be a better overall person. Make sure to also share your experiences with others. Many won’t be all to interested, but some will. Try and light that fire within them, and encourage them to go abroad. I believe that it’s something everyone should experience, so I’ve always tried to push others to do it, even though most times they won’t end up going for some reason or excuse they come up with (some more reasonable than others). It’s up to you if you want to take my advice or words of wisdom on studying abroad. I am by no means an expert and am just speaking from my own experiences. Whether you take it or leave it, I honestly just hope that you take the leap and go study abroad! Do you have any advice to someone considering studying abroad? If you’ve studied abroad, where did you go and how did you like it? 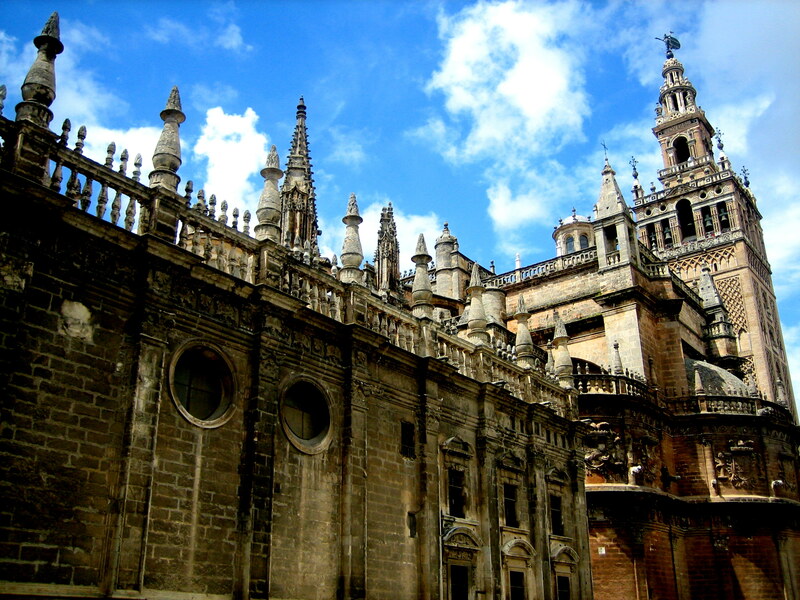 Actually, believe it or not….I hated my study abroad experience in Sevilla, Spain (in no small part due to my terrible host family). I had never been so miserable in my life. My advice? Don’t assume everything is a cultural difference – if you feel uncomfortable and unsafe, speak up and ask about it before things get bad. Nobody would’ve ever guessed I’d end up living in Spain a little later after how much I hated studying abroad! It is kind of crazy that you ended up back in Spain! I think it’s a good piece of advice to speak up and contact your program coordinators if things aren’t feeling right. Thanks for the comment and addition to the list! Part of the reason I didn’t stay with a host family is that it was a lot more (€1000 more), and I was afraid of exactly your experience! Unfortunately, in Spain, many times hosting a student is about the money. That’s why a lot of people end up with older people — it’s a way for them to supplement their income. I understand it, but it doesn’t always lead to the greatest experiences. Whereas when my family hosted an exchange student we got exactly $0. We didn’t do it for the money … but it’s a hit or miss! My friend had a great host family and I often went to her house to hang out with hers! Thanks Kaley! Price is obviously a factor to take into account. My program had the same cost for an apartment or host family (with utilities and everything else included in the host family price). I knew many students who had great to good host family, a few with mediocre ones, and one or two with bad ones. I’d still recommend going for it and using your program resources if you don’t like it. Maybe contact your program ahead of time to use see what their policies are on switching host families or switching out of a host family entirely. 8, 7 and 4. Yes. Yes. Yes. 7) I got really lucky with my host family, and had an amazing señora who cooked fantastic food and treated me like her own daughter. I still keep in close contact with her and her kids. I know people who were in nightmare housing situations though. 4) This something that is so important but I think most people forget. They want to jet off to Paris and Amsterdam, and barely let themselves get to know their own city. Such a shame. 8) I was so overwhelmed when I came home, and had a hard time relating to a lot of people. My perspective on life changed so much from living in a different culture and traveling to places like Morocco, and a lot of my friends who’d stayed behind were exactly the same. I found that my friendships ended up either growing or dissipating. I stopped hanging out with close-minded people, who I’d never realized were close-minded before, and grew closer to my friends who’d studied abroad as well, or just generally had more worldly and open-minded views. Great, well thought out post! Thank you Julia! I agree with all the points you made, especially the last one. That’s really exciting! I bet you are getting very anxious to leave. I know a host family can have an added expense, but as long as you make an effort to become immersed into the culture you’ll be able to have a great experience. I saw far too many people stay in their comfort zone and only speak English with American friends when I studied in Spain. Trust me, I was on my computer a lot in Spain staying connected as I was very involved with a bunch of different clubs and organizations at my college. Just remember that they will all be there when you return. Obviously stay connected, but don’t go overboard because this opportunity is truly once in a lifetime. Thanks for your blog. I will be studying in Granada this fall. 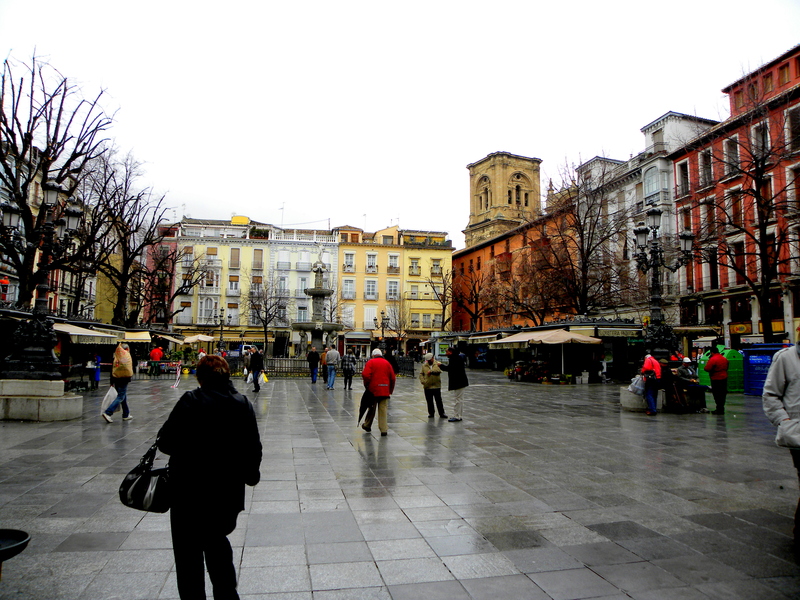 I chose Granada because I really wanted to immerse myself in Spanish culture and not live in a major city. However, I am sort of regretting my decision before even leaving because my friends that are studying in major cities have a much easier and cheaper time planning trips, flying to different places, etc. Any advice? Hey Ashley! You’re welcome, and thanks for reading. I studied abroad in Granada in 2010, so certain things may have changed. 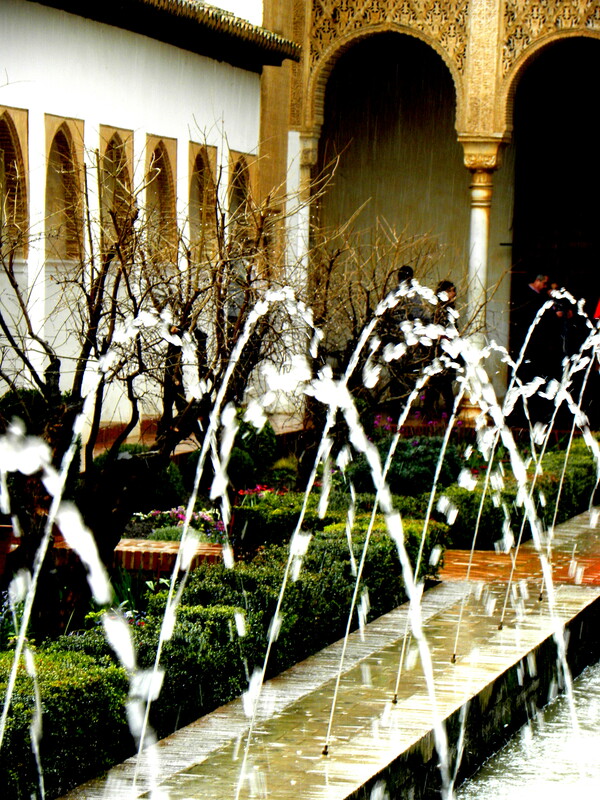 You will definitely be immersed in Spanish and Andalusian culture in Granada. Their accent will be hard to understand at first though. 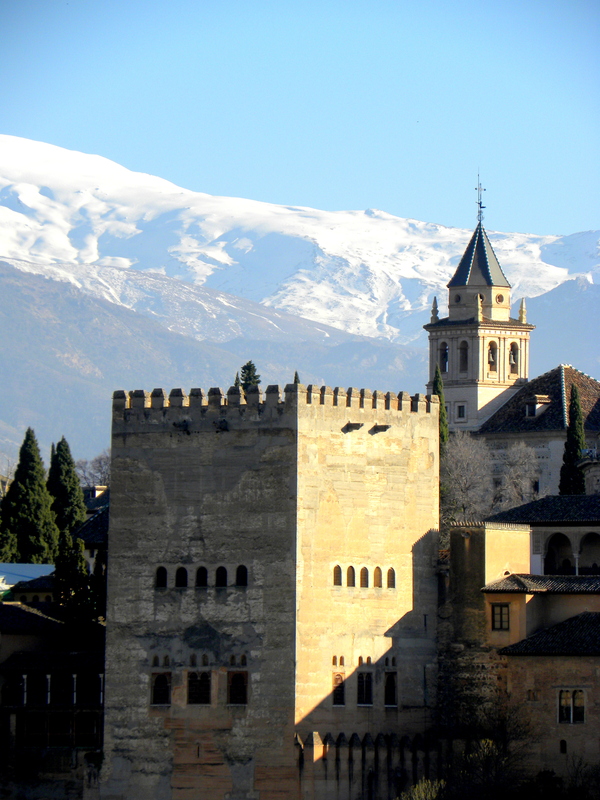 As far as travel goes, it is possible from Granada. I’m not sure what cities your friends are in or where you are planning on traveling. Many times I would take a bus to Madrid or Malaga on Thursday after my classes and fly out of either of those cities. I only flew out of Granada once – to London. 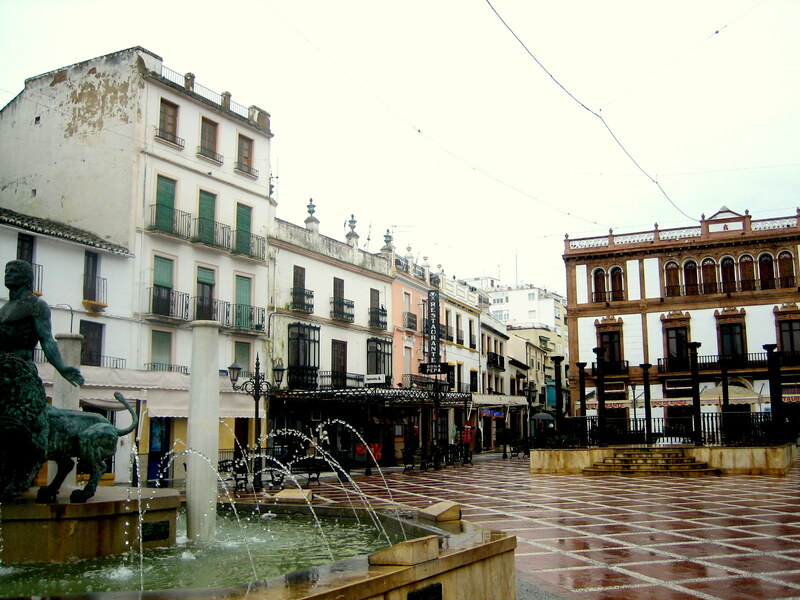 Malaga isn’t far from Granada by bus and flies to quite a few places both internationally and within Spain. I would recommend traveling within Spain and Andalusia though. Those were the trips I found most rewarding because I could better understand and appreciate the culture I was living in. After every trip, I found myself pining for Granada as I grew to love the city so much. Many of my study abroad mates flew off to all these exotic countries, but in the end were left wishing they stayed in Granada for a few more weekends. Not to be too long winded, but I will be living in Almunecar come October, which is just an hour south of Granada on the coast. If you ever have any questions don’t hesitate to ask. My email is maplessmike@gmail.com. Maybe I’ll see you during your time in Granada! Hope this helps! I’m actually currently studying in Granada. 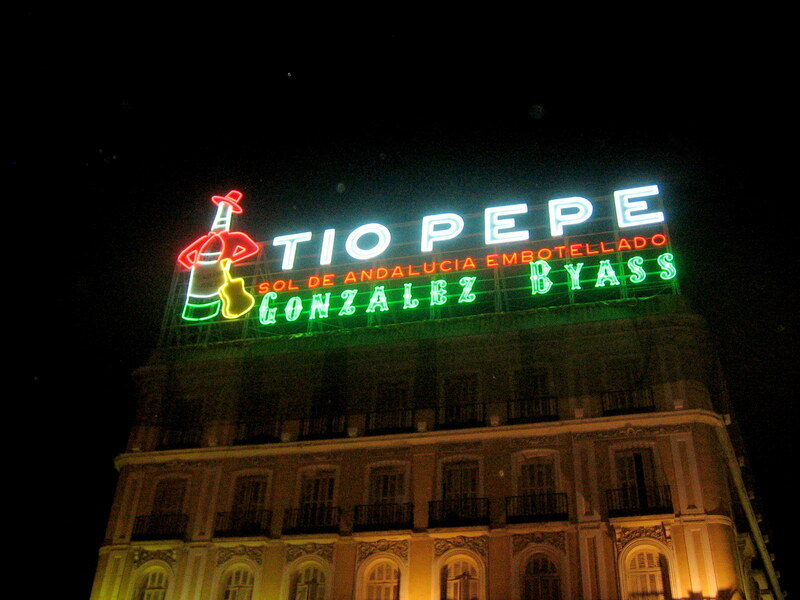 I love this city and I love Andalusian culture. Having only a little more than a month left has left me wondering what the last chapter of my time here to look like. My favorite part about Spanish culture is how slow it is. If you are rushing your entire experience, aren’t you missed out on the most prominent part of this culture? I’ve blogged much about my time here and what it means to make the most out of your study abroad experience. I agree wholeheartedly that if you rush your experience, you will be missing out on much of the culture that makes your city what it is. I’ll check out your blog, and thanks for sharing, Marissa!